Village Aid Receives the EQM Award! 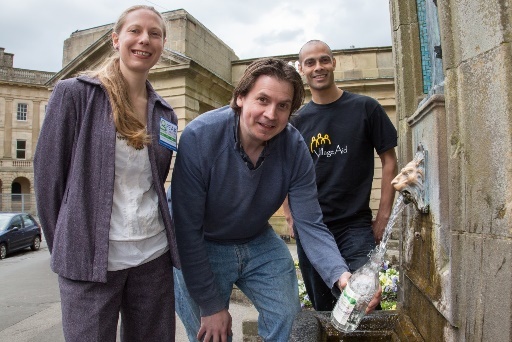 We’re delighted to announce that Village Aid has been awarded the Peak District Environmental Quality Mark! We support the local environment by recycling waste, limiting our carbon emissions, purchasing environmentally-friendly products and supporting the local economy. We also help protect the global environment through our work to promote sustainable use of natural resources so that more people can enjoy safe water, equitable land access and the benefits of renewable energy in West Africa. Big thanks to local businesses we have collaborated with through the EQM so far! Including Bakewell Soap, Cafe Village Green, Hoe Grange Holidays and The Dove Valley Centre. Find out more about the EQM here. To find out more about how your business could support Village Aid, please email us on info@villageaid.org. 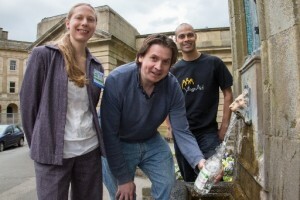 Kemal, EQM Director Faith and Bakewell Soap Company’s Antony Allen. Antony is donating 20p for every litre of water used in his soap production business to help ensure clean water for villagers in Cameroon.